Marquita Moseley Maytag was born Dec. 4, 1925, in Los Angeles, Calif., and passed away on Feb. 15, 2011. She spent most of her life traveling the world. During her youth, she frequented both Hawaii and Sun Valley. Her love for skiing took her throughout the United States, Europe and the Atlas Mountains of Morocco. Eventually her travels brought her to the country of Nepal where she eventually served as the U.S. ambassador from 1976 to 1977. Upon her return to the U.S., she lived in Sun Valley and Driggs, Idaho. Marquita is survived by five of her six children, Robert Bruce Denny (Stephanie) of Mesa, Ariz., Devon Denny of Oregon, Brian Leigh Denny (RayAnne) of Tetonia, Idaho, Dana Denny of Hailey, Idaho, and Marquita Hain of Bend, Ore., seven grandchildren and one great-granddaughter. 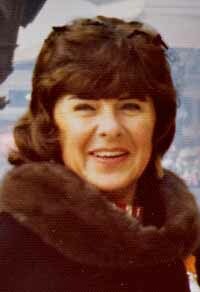 She was preceded in death by husbands Robert O. Denny and Lewis Bergman Maytag Jr., and by her son Mark Justin Denny.